Medications After an Accident: Are Benzos the 'other' drug problem? A recent essay in the New England Journal of Medicine titled "Our Other Prescription Drug Problem" highlights massive growth in the use and abuse of benzos in the U.S., including the fact that the number of deaths attributed to benzodiazepine overdose has risen seven-fold over the last two decades. Benzos are highly addictive and they have been around for a long time. But now with the current climate surrounding the use of prescription drugs, it seems like the level of personal responsibility needs to be weighed in accordance with how these drugs are prescribed. This is exactly what the doctor came to realize after supplying his client, an alcoholic, with Ativan (lorazepram) prescription longer than he had intended and later found himself reading his patient's obituary. The next time I heard about him was a couple of weeks later when a colleague read me Drew's obituary in the local paper. There was no cause of death listed. But I knew he could have run into serious trouble if he had mixed alcohol or other drugs with his lorazepam. Our clients see some really serious and tragic injuries, resulting in some very real and serious needs for pain management. But, where in the past the doctor would have written a prescription for Oxy and called it a day, today there are all kinds of options available for pain managment that doesn't include opioids or benzos. There are these options, put forth by Good RX, that are oral medications but not opiods. This article, written recently by Sonya Collins, explains how opioids work, side effects and good alteratives to opioids and benzos over the long term. With our clients we have seen the benefits of talk therapy, dry-needling, topical creams, and manual manipulations. We recently have seen one physical therapy offer cervical traction with chiropractic care, a hyprid of physical therapy that includes the more specialized manual manipulations wedded with more traditional physical therapy. We have seen our clients prescribed PTSD care. 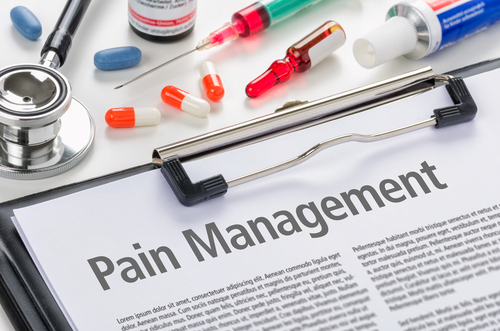 In some cases these pain management techniques are the sole approach, and sometimes they are used in tandem with the use of prescription drugs. If you are a client with Donahoe Kearney, you know that we care about and pay attention to the details of your medical treatment; whether you have a workers' compensation injury, an accident or personal injury, or a case of medical malpractice. If you think you may have a case in any of these areas, give us a call today. You will speak with a real person who wants to hear your story.